If you have been charged with a criminal offense, you owe it to yourself to seek out a competent and aggressive criminal defense attorney to represent you. Our criminal justice system is adversarial by nature. This means that prosecutors often seek to prosecute defendants to the fullest extent possible. It is a criminal defense attorney's job to hold this in check, to ensure that a defendant's rights are respected and that his or her freedom is honored. A good criminal defense attorney is passionate and unrelenting in his desire to achieve the best possible outcome for his client. If you have pending criminal charges, call attorney Brandon Pfeiffer today for a free consultation. Mr. Pfeiffer will listen to your concerns and advise you as to the best course of action. Every case is different, and every case deserves expert attention and sound legal analysis. Brandon Pfeiffer is an attorney you can trust. His rates are reasonable and competitive. 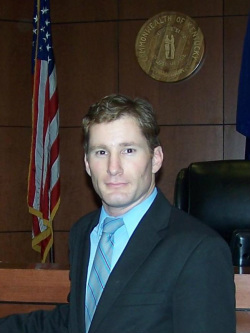 Brandon Pfeiffer is an experienced attorney who has successfully represented everyday people in a wide variety of legal matters. He handles cases as simple as traffic violations, and as complex as felony assaults and rapes. The hallmarks of his practice are good client relationships and aggressive protection of his clients' rights and freedom. His office is located in downtown Louisville in the McDowell Building, at Third and Muhammad Ali Blvd.